This has been my favorite cereal since I was a little girl...and considering I'm 34, it's been a few years. Lol I don't buy it all the time bc it's a little pricey ($4-5) and also the fact that I will eat the entire box in just a few short days. Haha it does resemble cat food....but seriously folks get past that bc it's Ahhhhhmazing! It has vanilla, sugar, cinnamon, coconut, nutmeg and golden oats. I hope y'all enjoy this yummy cereal as much as I do! 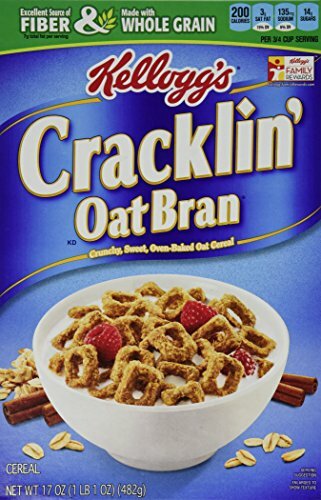 I love this cereal so yummy with or without milk. I used to love that cereal when I was little. I used to think it looked like cat food too. I love this cereal straight out of the box for a snack. @sweetmamakaty you are welcome!!! I love it too! Such a great cereal. I love this brand it's been a favorite of mine such a good snack late at night.